Three words and I was sold: hot air balloons. Still, I was not complaining. Bagan may be smack at the heart of a vast, almost barren land, but it is brimming with beauty, there’s hardly any place for disappointment. Shading the banks of the Ayeyarwady (Irrawaddy) River, the ancient city of Bagan in Myanmar’s Mandalay region is located 688km northwest of Yangon. Bagan was once home to over 10,000 Buddhist structures, built during the reign of the Kingdom of Pagan from the 9th-13th centuries, scattered throughout the 42 sq. km plain. Today, however, only 2200 of these stupas and pagodas remain standing, making up what is now called the Bagan Archaeological Zone. Most visitors could not help comparing it to Cambodia’s famous Angkor site. Both harbor countless Buddhist monuments spread across hectares and hectares of land. But the similarities stop there. Angkor is tucked in a rainforest; Bagan rises above an arid, desert-like territory. Angkor’s spires resemble corncobs, tall and slender; Bagan’s look like pineapples and ice cream cones, wider and rounder. Angkor’s temples are grander and more ornate; Bagan’s are smaller and simpler. But what Bagan can’t deliver in size, it makes up for in volume. Bagan is considered the largest and densest collection of Buddhist ruins in the world. Cover your knees and shoulders. Tees are okay. Shorts are okay as long as they cover knees. Remove your shoes. And your socks, while you’re at it. Locals are very non-confrontational that they don’t usually call out visitors even when their behavior offends them. Still, it shouldn’t be an excuse to disrespect their culture. Always follow the rules especially when entering temples and monasteries. Locals are very friendly and helpful. Even when they don’t understand English, they just smile and point you to someone who does. Let’s show them some respect. The official currency is the Kyat, often shortened as MMK or Ks. 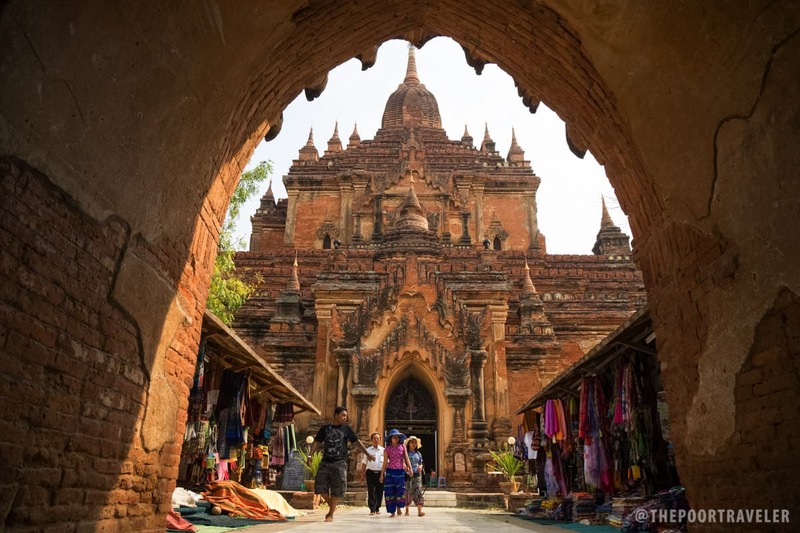 For many, the relatively cool months of November to January are the best time to visit Bagan. It isn’t that hot, the skies are clear (perfect for wide landscape shots of the stupas), and hot air balloon companies are operational. However, this is also the peak season, so expect to share the sites with hordes of other tourists. 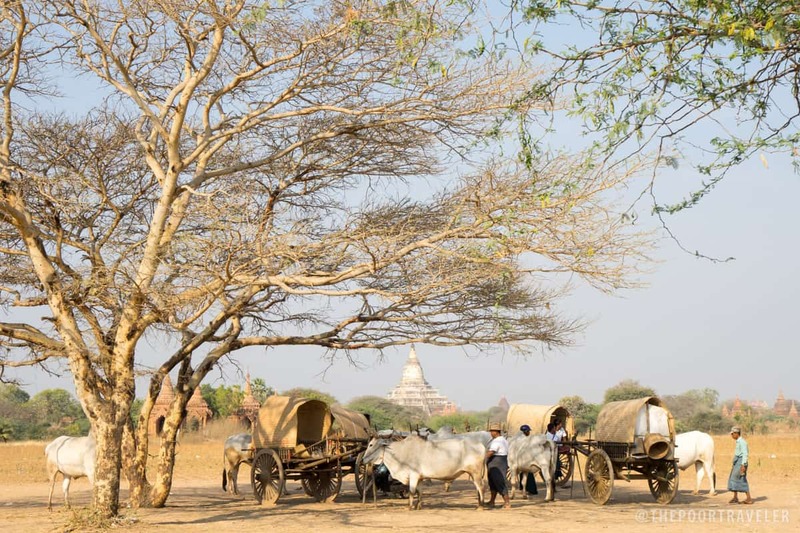 Bagan is situated in what many regard as Myanmar’s driest region. It is generally hot year-round, but March-April temperatures can be brutal, sometimes playing around 43 degrees Celsius. Exploring is unbearable. August and September are months to stay away from too. These are the wettest months and the peak of the monsoon season. June, July, and October are also monsoon months, but they are generally okay. A bit risky because of the chance of rain, but it is after the rain that the temples are best photographed, when there’s no dust to muddle the view and colors are more vivid. Prices are also at their lowest. If you’re after hot air ballooning (like I was), visit between mid-October and mid-March. 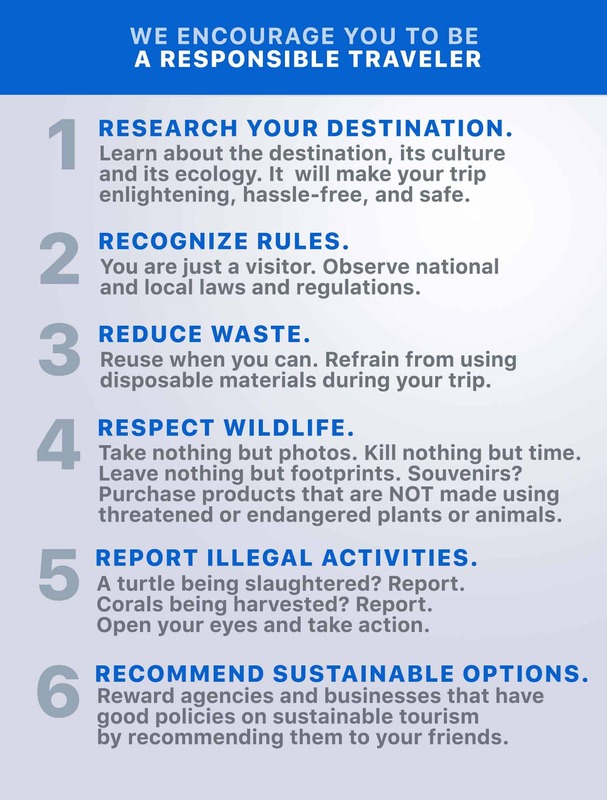 Don’t make the mistake of not researching before your trip (like I did). By plane. You may simply take another flight to Nyaung U Airport. 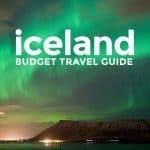 (Lowest roundtrip fare is around 200 USD.) 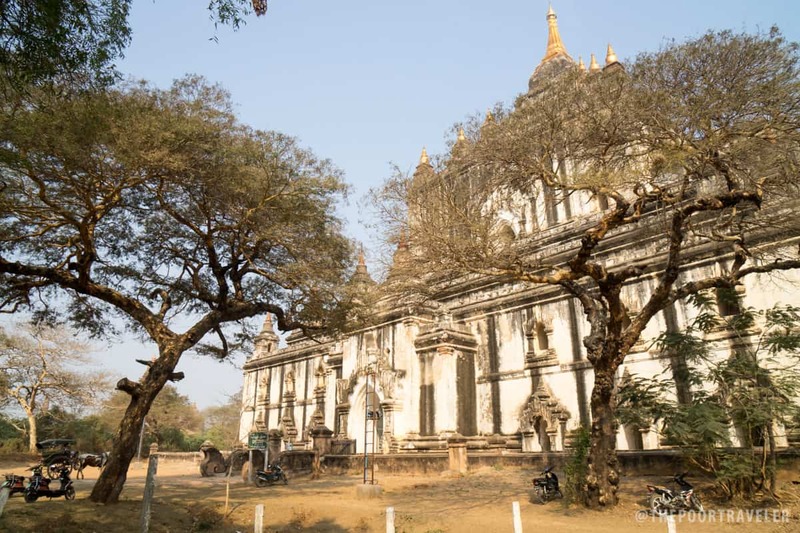 From the airport, you may travel to New Bagan by car for 7000 to 10,000 kyat. By bus. At the Aung Mingalar Bus Station in Yangon, board a bus to Bagan Nyaung U. Regular rates range from 12.9 to 17.22 USD, depending on the schedule and transport company. If you want to get comfortable, book a seat on a VIP bus, which is somewhere between 17.49 and 19.99 USD. We highly recommend this because there isn’t much difference in the rates but a lot in comfort. The VIP seats actually feel like business class on a plane: with refreshment, movies onboard, a blanket, reclining seats and huge leg room. Travel time is roughtly 8 hours. 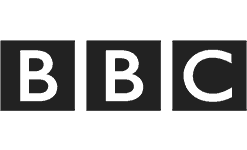 Check the bus schedule or book on this website. From the Bagan Shwe Pyi Highway Bus Terminal, you may hail a cab to New Bagan for 7000 MMK. By train. Catch Train No. 61, set to leave Yangon at 4pm and reach Bagan at 10am the next day. 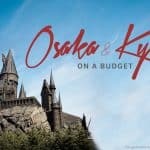 The ticket costs 4500 MMK (4 USD) for an ordinary seat; 12,000 Ks (12 USD) for an upper class seat; or 16,500 MMK (17USD) for an upper class sleeper. Whatever your mode of transportation, you will need to pay the mandatory USD 20 (MMK 25,000) Bagan tourism fee. It is good for 5 days. Do not lose your ticket. Tourism authorities are roaming the site and they’ll check if you already paid the tourism fee every now and then. 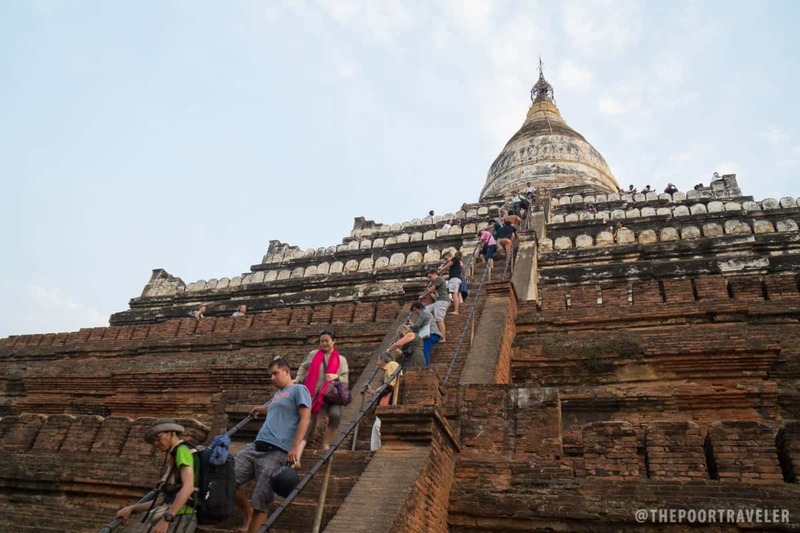 There are three areas where you can stay: Old Bagan, New Bagan, and Nyaung U. Which to choose depends on your budget. Nyaung U is where most budget travelers choose to dwell because of the many cheap lodging and dining options. It is the liveliest and can offer a peek into the way the locals’ way of life. Markets are also within the area. 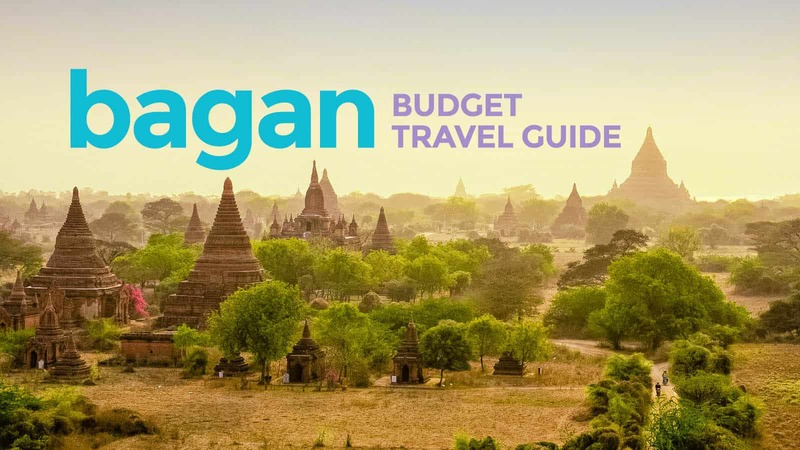 New Bagan is where budget to mid-range hotels and hostels are located. There’s not much to see here, to be honest, save for some restaurants. 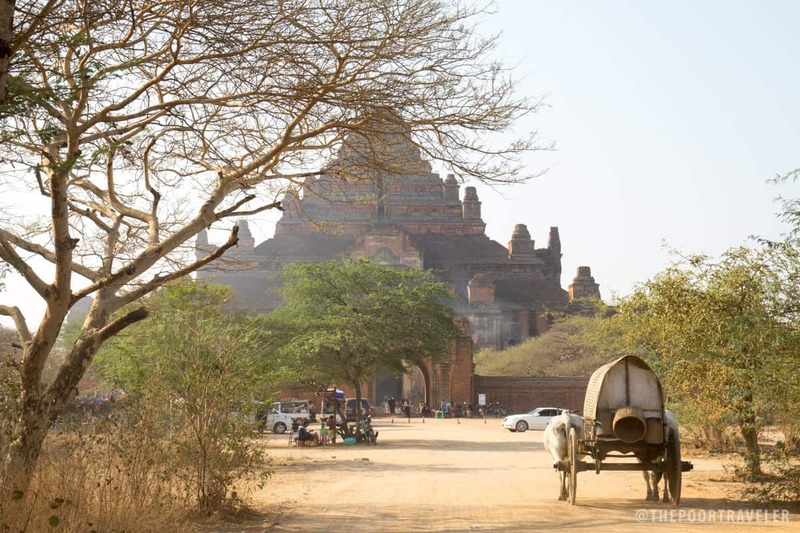 Old Bagan may sound like the best place to spend the night but it harbors the most expensive hotels and resorts. If you want to avoid hurting your wallet, this is not the place for you. Due to availability, we stayed in a 4-bed dorm at Ostelo Bello Bagan (Kayay St, New Bagan). It was a pleasant stay: friendly staff, homey feel, clean shared bathroom, complimentary breakfast, and unlimited coffee. I paid $22.5 per night, not the cheapest in Bagan’s growing list of boutique hostels. 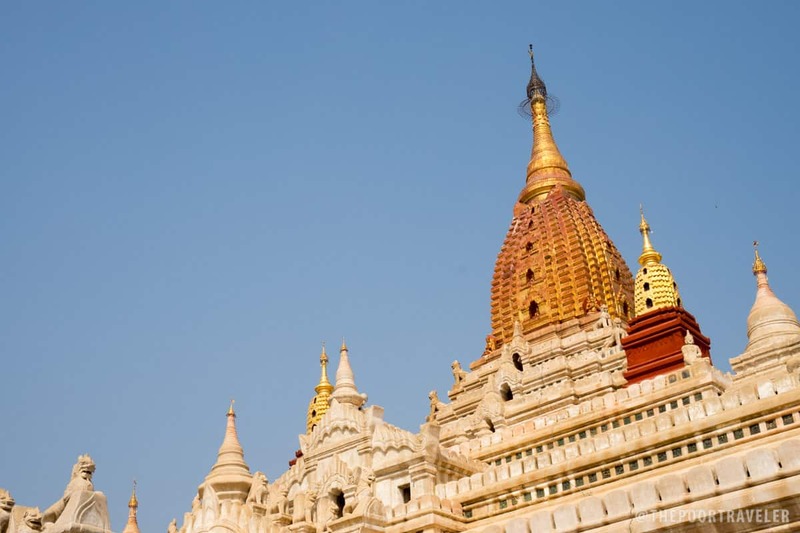 Chances are, you’re interested to set foot here to see its thousands of temples. But there are many ways to experience this extraordinary site. By bike. Still the cheapest way to get around. Make sure you pick one that is in good condition. 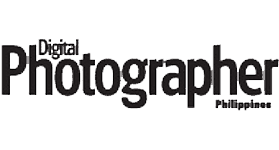 1000-2000 MMK (1-2 USD). By e-bike. What we recommend because it’s much less exhausting but not that pricy either. 5000-7000 MMK (4-6 USD). By car/taxi. Upside: air conditioned! Woohoo. 20,000-60,000 MMK (20-50 USD). By horse carriage. Horse carts are available mostly for sunrise. It’s a dusty, bumpy ride, and can be quite exhausting, but it’s an interesting way to explore the site, to say the least. Cost: 20,000 MMK (17 USD). By hot air balloon. 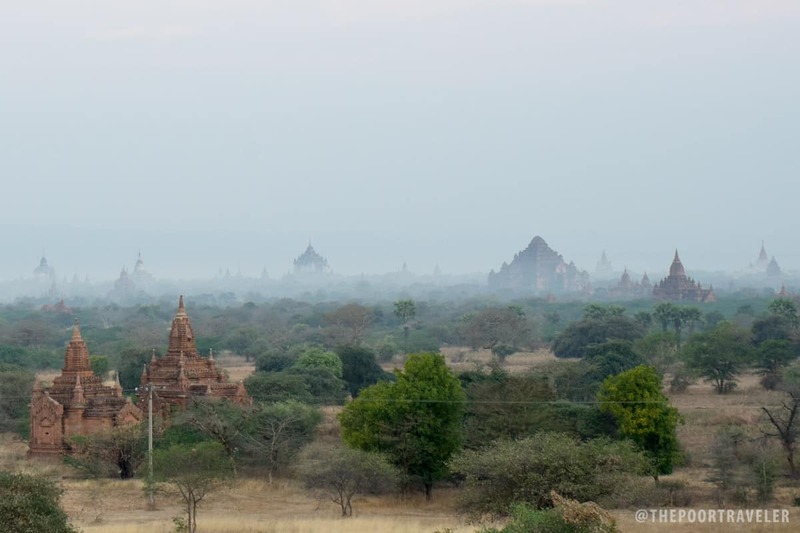 The most magical way of seeing Bagan is from the top of the world. 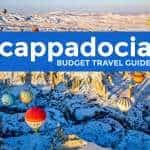 The rates vary depending on which agency you’re booking it with and how many passengers per balloon: 320-330 USD per person for a 12-16-passenger balloon, and 380-390 USD per head for an 8-passenger balloon. Whatever you choose, don’t forget to catch the sunrise and the sunset. You’ll never regret it. Bagan can be pretty daunting. We started our journey lost. We got a map early on and assumed that since the key temples were marked, it would be easy to find them. But not all the pagodas and stupas are on the map. While you’re at one, you can already see the next and the one next to it. It’s easy to get lost, confuse one with another. There are over 2000 structures and they were not created equal. Bagan local selling souvenirs. She actually helped us to get the perfect view of Htilominlo Temple. Bring a liter of water when exploring. Don’t get dehydrated. While there are sellers in major temples, you might need to drink while still on the way to your next stop. There are also refilling stations at some sites. Put on some sunscreen. The sun is your biggest enemy out there. A hat would help, too. Be sure to protect your skin. Bring a dust mask. It can get really dusty! Wear slip-on shoes or slippers. I still prefer wearing a good pair of rubber shoes especially when biking, but most of our companions found a pair of slippers more convenient because you will need to remove them at every temple you’re gonna enter. Buy a tourist SIM at the airport. You may also get a Ooredoo SIM with 10MB data for 1500Ks.  You can then simply top up depending on your browsing habit, but the price is 1000Ks per 100MB. If you’re a heavy data user, MPT offers a tourist SIM that costs 10,000Ks and it comes with a 1.5G data allowance. It’s valid for 10 days. Make a sidetrip to Mandalay. Mandalay is a few hours away from Bagan. You might also want to spend a day or two or more here. Scams. 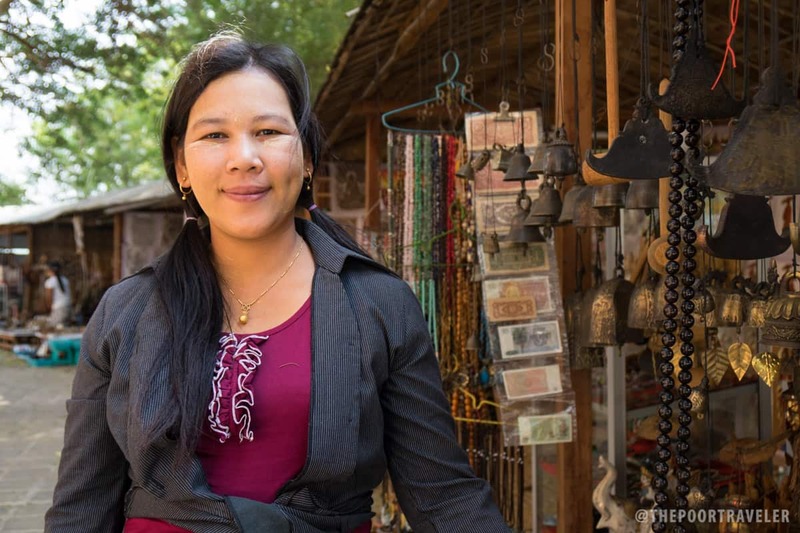 The locals are generally friendly and lovely, but like many other destinations, Bagan has its share of scammers. You’ll find locals (often children) approaching tourists to ask for a foreign currency note to add to their collection, to sell them fake gemstones, or to insist to tour them around. Just say no politely. They are hard to shake off sometimes, but just keep on refusing. Paying for the Entrance Fee more than once. 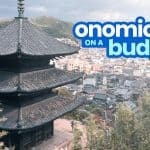 If you have already paid it as you enter the town, don’t pay again when you’re getting into the temples. 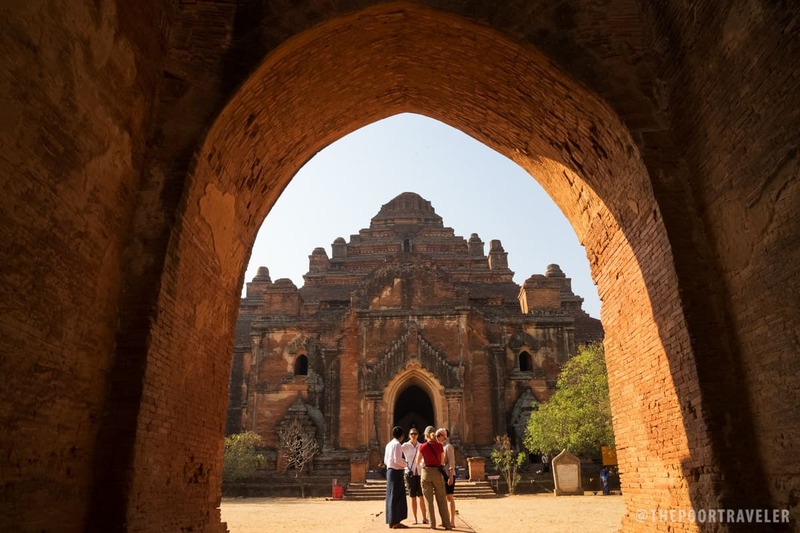 The fee should cover the entire Bagan Archaeological Zone and is good for five days. Here is a sample 4-day itinerary that you may follow (at your own risk, of course). Also included are the costs of each item. Note that this assumes that you are traveling alone and that you’re riding a hot air balloon. 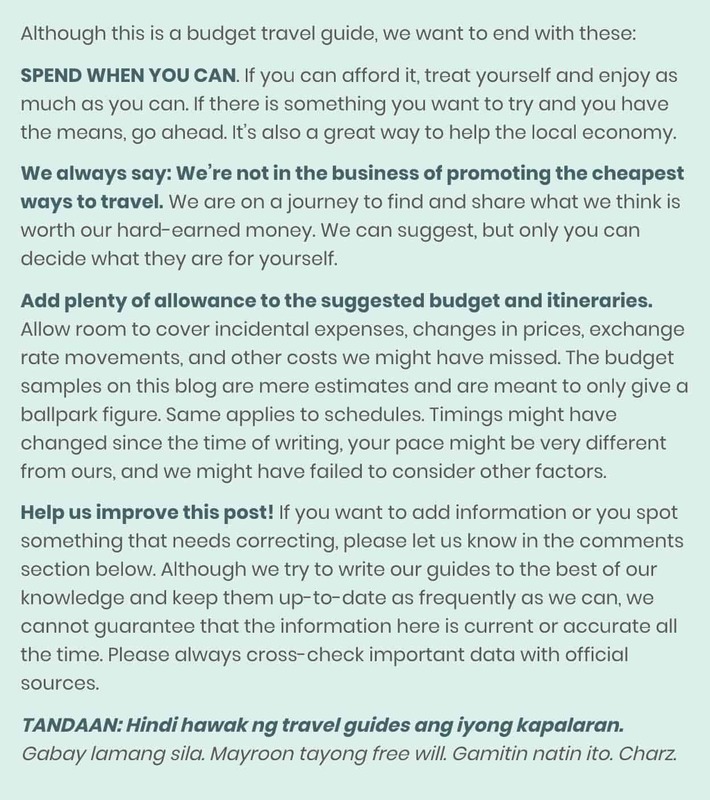 Feel free to make changes to this itinerary to suit your needs. Additional expenses: 10,000 MMK (10 USD) for random bottled water purchases. Refill at your hostel. 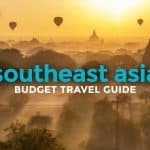 If you follow the itinerary above and assuming you’ll spend only 5 USD per meal, you’ll end up spending 520 USD (24,500 PHP) excluding airfare to Yangon. Note, however, that the bulk of it is the hot air balloon ride. 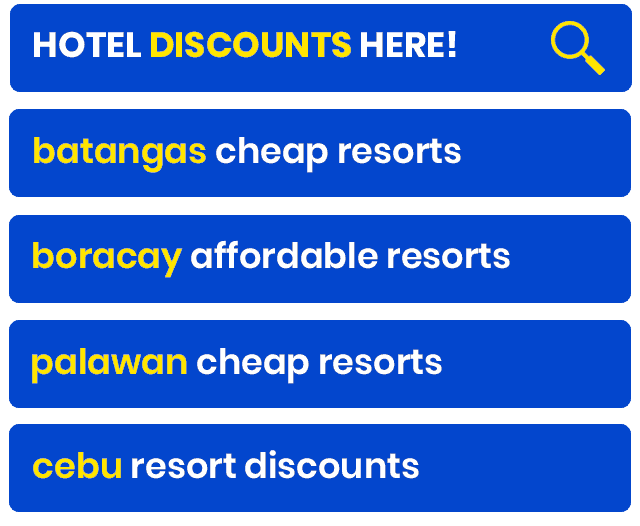 Cross that out of the itinerary and you’ll end up shelling out only 180 USD (8500 PhP). Pretty cheap, huh? You can still bring down the cost if you’re traveling with someone so you could divide the cost of some items (like taxi rides) with them. 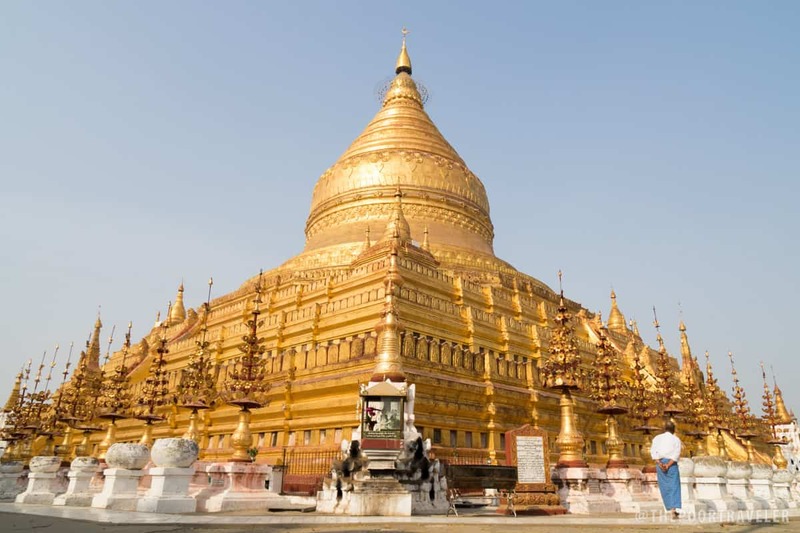 Of course, you will be spending more if you make a side trip to Mandalay after your time in Bagan. 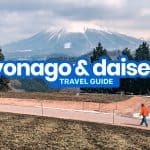 The only recent guide I can find so far. Not planning to go there yet this year but this will stay on my bookmark for more than a year. Thanks. I have planned to visit Bagan this winter. Do not think I can manage 5 days for it. 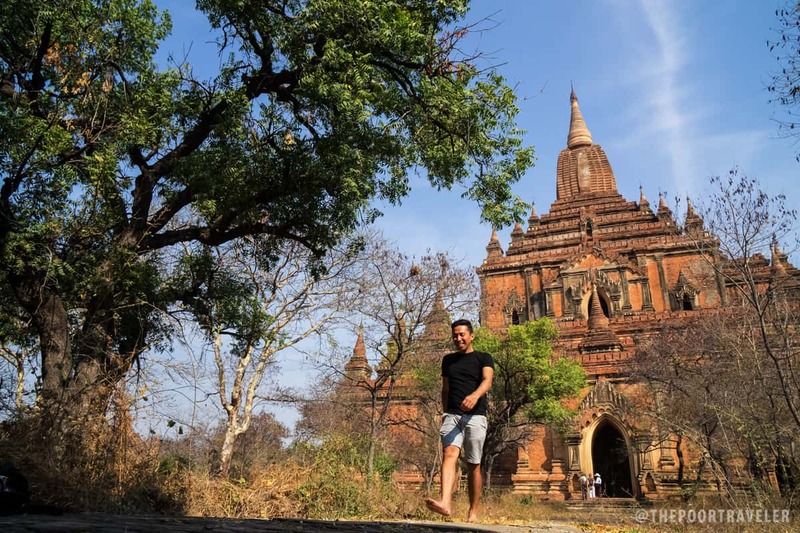 Can I complete exploring Bagan in 3 days? 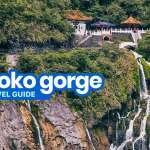 Great travel infos! Thank you so much for your wonderful report on your experiences. I intend to go to Myanmar first week of December with my sister, we are both Sr’s and follow your recommended itinerary, omitting Hot Air Balloon ride and proceed to Mandalay instead. Would 5 to 6 days enough for this tour? no for up to 14 days. Did u get any vaccination before going? Hindi raw, sabi ni Vins. Hi, is it possible to see the floating lantern in Bagan like above the Ancient Temples during the Chiang Mai Yeng Pi Festival? If yes what time it can be seen?